You are responsible to make contact with Tindeguide one week prior to your trip (email steinar@tindeguide.no or call +47 91731388). The booking contract with Tindeguide begins on the date your deposit funds are received by the Tindeguide bank account. The event fee includes a guide/instructor, and all his/her expenses during the event unless otherwise clearly stated in the event information. The event fee additionally includes all personal safety equipment, unless otherwise clearly specified in the event information. Safety equipment includes transmitter/receiver unit, probe and shovel, harness with accessories, helmet, crampons, ice axe, rope, first aid, and any other relevant safety equipment. Participants are obliged to replace self-inflicted losses or damage to equipment lent or leased by Tindeguide. Tindeguide reserves the right to cancel any event that does not have sufficient numbers to make the event financially viable. If the event is likely to be cancelled under such circumstances you will be informed as soon as possible. If Tindeguide cancels an event you will be entitled to a full refund of any payments made to Tindeguide. Tindeguide offers no compensation for cancelled events. If Tindeguide cancels your event, Tindeguide will not be liable for any expenses that you may have incurred because of the booking. 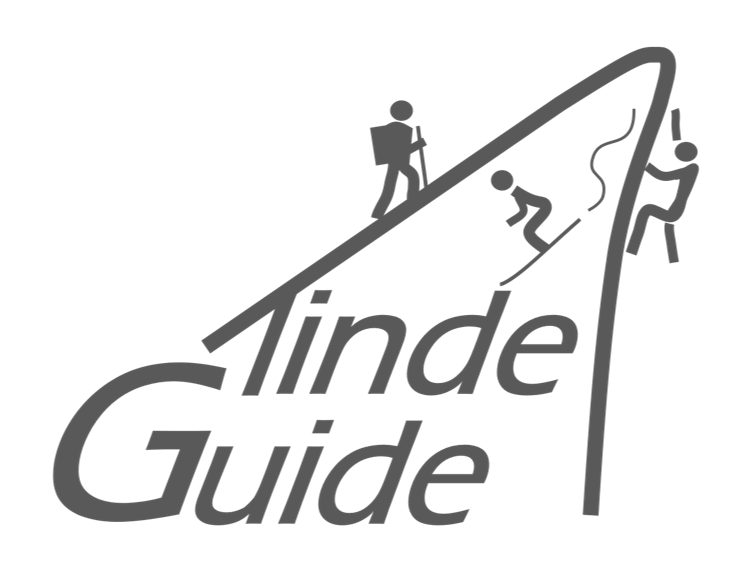 Tindeguide does not offer cancellation protection, travel or accident insurance at their events. It is recommended that each participant draw their own travel and accident insurance. At major events, it is recommended to take out insurance with cancellation protection. At an event outside Norway it is recommended that participants bring the Insurance Authorities Form E111. Tindeguide is not obliged to offer alternative activities for you, if you are not able to participate in the original program for the group. Participants are required to provide information on all health formalities that may affect the safety of the event. Participation in mountain sports involves a certain risk of accident and injury. Mountain activities may include climbing, mountaineering, scrambling in mountains and on lowland slopes, ice climbing, off-piste skiing and ski touring. Participants are required to comply with the guide/instructor's instructions related to safety and route selection if the event is in progress. Tindeguide does not assume any financial obligations because of damage to persons or equipment if the accident is not due to gross negligence by the supervisor. More than 60 days before the start date of your event: administration fee of NOK 500,-. Participants may change the order at an administration fee of NOK 250, - per person per change, if Tindeguide has the opportunity to comply with the new wishes. Your insurance must cover you for all activities of your skiing, kayaking or climbing event, as well as travel and personal insurance. You must ensure you have adequate cover for search, helicopter rescue and repatriation in the event of a medical emergency. You understand and accept the risks involved with all the activities of your event. You understand and accept the risks involved with ski touring, skiing off piste, rock and ice climbing, sea kayaking, and glacier touring. You participate at these activities at your own risk and responsibility. While effort has been made to ensure the accuracy of all advertising material and information for Tindeguide, Tindeguide cannot be held responsible for any inaccuracies. You agree to allow Tindeguide to use for publicity purposes any photographic or video footage taken of yourself on a Tindeguide event without your permission and with no charge. When making your booking with Tindeguide, it is implied and accepted that you have read and understood these booking conditions and agree to abide by them. If you are booking on behalf of others you are responsible to make sure they have read and understood the booking conditions. Any complaints regarding Tindeguide events should be made immediately, and you must notify Tindeguide in writing within 30 days of the end date of your event. Tindeguide reserves the right to pursue you for any unpaid amounts due. Notice of cancellation will be effective from the day it is received in writing by Tindeguide. Participation in outdoors sports and activities involves a certain level of risk for accident and injury. The safety of clients during our guided trips and courses is under the responsibility of the guide/instructor. The guides and instructors are obliged to follow our safety routines. To minimize the risk involved Tindeguide uses highly qualified and trained guides and instructors. Risk reduction also implies adjusting the trip level according to the prerequisites of the group (fitness level, technical skills, experience, equipment, etc.). If you are uncertain on your own skill level, you must ask the organizer.